Most PowerPoint users shy away from using maps in their presentations, and understandably too. Maps are heavy, they can rarely be edited and manipulated, and good, high quality maps are hard to come by. However, a bit of scouting around the Internet can lead you to marvelous map resources, and you will benefit greatly from using relevant maps in your presentations. What can you do with maps in your presentations? Pinpoint your company’s presence at different locations. Show the geographical distribution of crops, rainfall, etc. Create an info-graphic about country-wise production of commodities. Show trade routes – shipping and air routes. Have relevant images when you talk about recent country-specific happenings like political developments, tsunami devastation, etc. Talk about your company’s plans for expansion in newer geographical locations. Maps are a great background for displaying demographic information. How to use maps in your presentations? High resolution maps will make your presentations really heavy. So when you buy or source a high resolution map, be sure to convert it into an acceptable PowerPoint image format such as a png or jpeg. You can also think of using editable maps. They are easy to use, customize, and can be reused. The image can be ‘ungrouped’ to highlight or resize specific regions and to pinpoint locations such as offices or malls or even places of tourist interest. 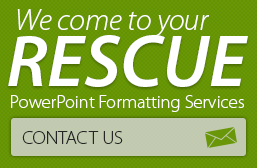 Some PPT maps are also filled with icons and examples of how to use editable PowerPoint maps. See how an editable PPT map of Japan can be used to quickly indicate a damage report, or location of nuclear plants that are potential nuclear meltdown hazards. Searching For Maps on Haiti? 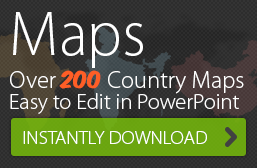 See how editable maps let you compare details about 2 different countries in your infographics. Want great-looking editable maps of Bahrain? Our maps will help you talk about demographics, the Shia bid for equality, the Pearl Square incidents and more! Want professional editable maps for your infographic on Egypt’s changing political scene? See how our set of 42 editable Egypt maps can help you create great presentations, news reports and infographics on Egypt!